Field emission (FE) electron gun, and now is proud to present a new upgraded FE-EPMA. 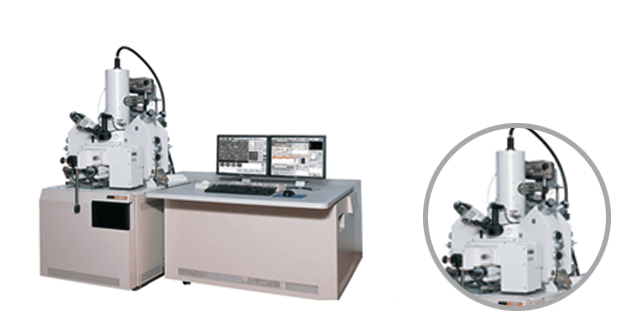 The FE operates on PC Windows for data acquisition and analysis while maintaining the powerful hardware of the FE including the FE electron gun, EOS, and vacuum system to achieve the ultra micro area analysis. User friendly, PC-based operation facilitate quick and easy analyses at the highest magnifications.